When is a ‘map’ not a map? When it’s a Sat Nav! The rapid popularisation and extensive distribution of Sat Nav technologies represents the first widespread adoption of location-aware systems for journey planning and navigation. Sat Nav technologies illustrate the advancement and accessibility of technology used for journey planning and navigation. Despite the advantages, the media tend to focus on the negativities of over-dependence on the technology, reduced spatial awareness as well as the potential hazards of Sat Nav use. The first Sat Nav summit in London convened by the Department of Transport in March 2012 started to address the blunders associated with Sat Nav use. The key issues discussed at the summit were to identify solutions to problems of out-of-date Sat Nav technologies. The Sat Nav summit sought to address concerns that old information on Sat Nav systems is leading inappropriate vehicles down inappropriate roads. In our paper, ‘At the next junction, turn left’, we explore geography undergraduates’ attitudes towards, and experiences of, Sat Nav use as well as its impacts on spatial awareness and cartographic literacy. In doing so, we have started to address a major gap in the geographical literature. The navigational capacities and technological aspects of Sat Nav are regarded positively whereas its technological, safety and financial attributes are considered negatively. 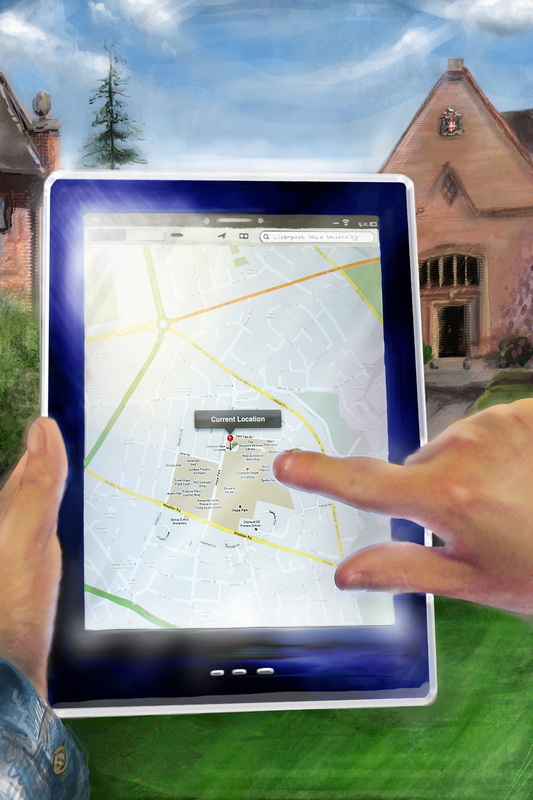 Distinctions are made between traditional navigational technologies such as paper-based maps and Sat Nav. Crucially, the digital spatial representations of Sat Nav are not perceived as maps but as a distinctive navigational tool. Concerns are also expressed that Sat Nav could reduce the ability to read paper-based maps and interpret spatial data. Sat Nav use is intrinsically changing people’s wayfinding behaviour, processes and practices of navigation, and understandings of what ‘maps’ are and do. Fundamentally, Sat Nav is not viewed, or used, in the same way as more traditional technologies of navigation. We argue that geographers should engage more actively with interdisciplinary dialogues on people’s changing perspectives on wayfinding, navigation and map design. The authors: Stephen Axon is a doctoral candidate in Geography, Dr Janet Speake is a Senior Lecturer in Human Geography and Dr Kevin Crawford is a Senior Lecturer in Physical Geography at the Department of Geography, Liverpool Hope University. This entry was posted in Area and tagged Cartography, Cultural Geography, GIS, maps, navigation, Sat Nav, Social Geography, spatial awareness, technology, transport, wayfinding on April 19, 2012 by RGS-IBG Managing Editor: Academic Publications.